Graduates from the Civil Engineering 3-year Level 7 degree course may choose to work as technicans/technologists within the civil engineering industry, playing an important role in the design and construction process. In recent years a large proportion of the graduates have chosen to continue with their studies, advancing on to the level 8 professionally accredited honours degree at WIT( Sustainable Civil Engineering) or at other colleges in Ireland and the UK. 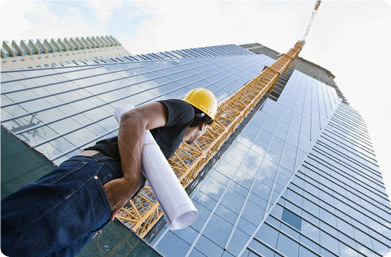 Civil Engineering is a wide discipline that encompasses a variety of project types including the construction, design and maintenance of highways, railways, bridges, tunnels, airports, harbours, waste-water treatment facilities, power stations and commercial/industrial buildings. In 2013 the department hosted a group of Civil Engineering students from the Paris based organisation CESI Enseignement Supérieur Institut. A total of 41 students and staff members spent a week long study visit to Waterford. The study week involved a number of site visits in the area. These included the SmartPly factory in Bellview, the Waste Water treatment plant for Waterford and BAM PPP construction project: the new secondary school in Tramore. The group also engaged with students from a number of departments in the School of Engineering. As part of their coursework, the CESI students undertook a number of projects examining differing cultural practices in construction. This also involved strategizing for alternative and creative approaches to tackle current construction problems.